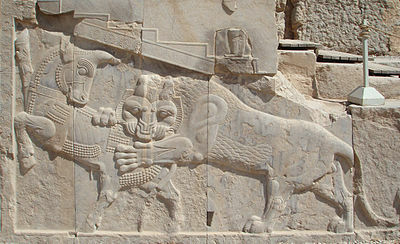 Relief is a sculptural technique where the sculpted elements remain attached to a solid background of the same material. The term relief is from the Latin verb relevo, to raise. To create a sculpture in relief is to give the impression that the sculpted material has been raised above the background plane. What is actually performed when a relief is cut in from a flat surface of stone (relief sculpture) or wood (relief carving) is a lowering of the field, leaving the unsculpted parts seemingly raised. The technique involves considerable chiselling away of the background, which is a time-consuming exercise. On the other hand, a relief saves forming the rear of a subject, and is less fragile and more securely fixed than a sculpture in the round, especially one of a standing figure where the ankles are a potential weak point, especially in stone. In other materials such as metal, clay, plaster stucco, ceramics or papier-mâché the form can be just added to or raised up from the background, and monumental bronze reliefs are made by casting. In mathematics, a plane is a flat, two-dimensional surface that extends infinitely far. A plane is the two-dimensional analogue of a point, a line and three-dimensional space. Planes can arise as subspaces of some higher-dimensional space, as with a room's walls extended infinitely far, or they may enjoy an independent existence in their own right, as in the setting of Euclidean geometry. Relief carving is a type of wood carving in which figures are carved in a flat panel of wood. The figures project only slightly from the background rather than standing freely. Depending on the degree of projection, reliefs may also be classified as high or medium relief. 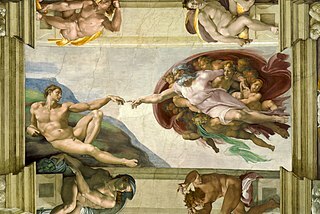 There are different degrees of relief depending on the degree of projection of the sculpted form from the field, for which the Italian and French terms are still sometimes used in English. The full range includes high relief (alto-rilievo, haut-relief),  where more than 50% of the depth is shown and there may be undercut areas, mid-relief (mezzo-rilievo), low-relief (basso-rilievo, or French: bas-relief /ˌbɑːrɪˈliːf/ ), and shallow-relief or rilievo schiacciato,  where the plane is only very slightly lower than the sculpted elements. 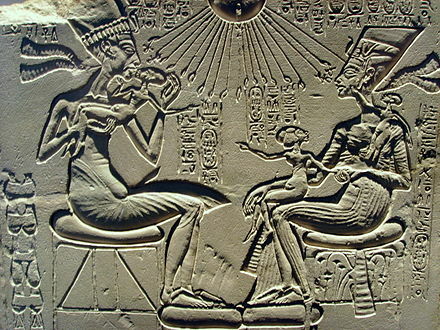 There is also sunk relief, which was mainly restricted to Ancient Egypt (see below). However, the distinction between high relief and low relief is the clearest and most important, and these two are generally the only terms used to discuss most work. The definition of these terms is somewhat variable, and many works combine areas in more than one of them, sometimes sliding between them in a single figure; accordingly some writers prefer to avoid all distinctions. The opposite of relief sculpture is counter-relief, intaglio, or cavo-rilievo,  where the form is cut into the field or background rather than rising from it; this is very rare in monumental sculpture. Hyphens may or may not be used in all these terms, though they are rarely seen in "sunk relief" and are usual in "bas-relief" and "counter-relief". 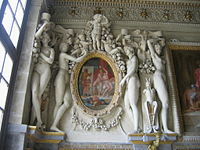 Works in the technique are described as "in relief", and, especially in monumental sculpture, the work itself is "a relief". In contemporary art, monumental sculpture is large sculpture regardless of purpose, carrying a sense of permanent, solid, objects, rather than the temporary or fragile assemblages used in much contemporary sculpture. In ancient and medieval sculpture, size is normally taken as the criterion for definition, although smaller architectural sculptures may also be labelled monumental sculpture. In the Early Modern period a specific funerary function may be attributed to monumental sculpture. Islamic art encompasses the visual arts produced in the Islamic world. Islamic art is difficult to characterize because it covers a wide range of lands, periods, and genres, including Islamic architecture, Islamic calligraphy, Islamic miniature, Islamic glass, Islamic pottery, and textile arts such as carpets and embroidery. 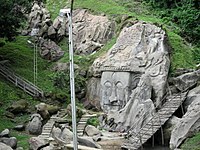 A rock relief or rock-cut relief is a relief sculpture carved on solid or "living rock" such as a cliff, rather than a detached piece of stone. 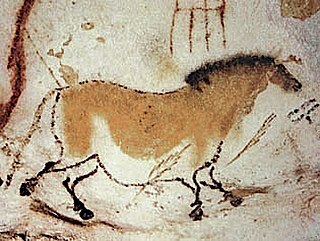 They are a category of rock art, and sometimes found as part of, or in conjunction with, rock-cut architecture. However, they tend to be omitted in most works on rock art, which concentrate on engravings and paintings by prehistoric peoples. A few such works exploit the natural contours of the rock and use them to define an image, but they do not amount to man-made reliefs. 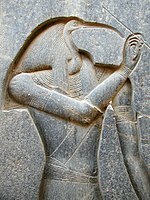 Rock reliefs have been made in many cultures throughout human history, and were especially important in the art of the ancient Near East. Rock reliefs are generally fairly large, as they need to be in order to have an impact in the open air. Most of those discussed here have figures that are over life-size, and in many the figures are multiples of life-size. The ancient Near East was the home of early civilizations within a region roughly corresponding to the modern Middle East: Mesopotamia, ancient Egypt, ancient Iran, Anatolia/Asia Minor and Armenian Highlands, the Levant, Cyprus and the Arabian Peninsula. The ancient Near East is studied in the fields of Near Eastern archaeology and ancient history. A stele, or occasionally stela, when derived from Latin, is a stone or wooden slab, generally taller than it is wide, erected in the ancient world as a monument. Grave stelae were often used for funerary or commemorative purposes. Stelae as slabs of stone would also be used as ancient Greek and Roman government notices or as boundary markers to mark borders or property lines. The Parthenon frieze is the high-relief pentelic marble sculpture created to adorn the upper part of the Parthenon’s naos. It was sculpted between c. 443 and 437 BC, most likely under the direction of Pheidias. Of the 160 meters (524 ft) of the original frieze, 128 meters (420 ft) survives—some 80 percent. The rest is known only from the drawings attributed to French artist Jacques Carrey in 1674, thirteen years before the Venetian bombardment that ruined the temple. 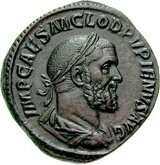 A low relief or bas-relief ("low relief", French pronunciation: ​ [baʁəljɛf] , from the Italian basso rilievo; this is now a rather old-fashioned term in English) is a projecting image with a shallow overall depth, for example used on coins, on which all images are in low relief. In the lowest reliefs the relative depth of the elements shown is completely distorted, and if seen from the side the image makes no sense, but from the front the small variations in depth register as a three-dimensional image. Other versions distort depth much less. 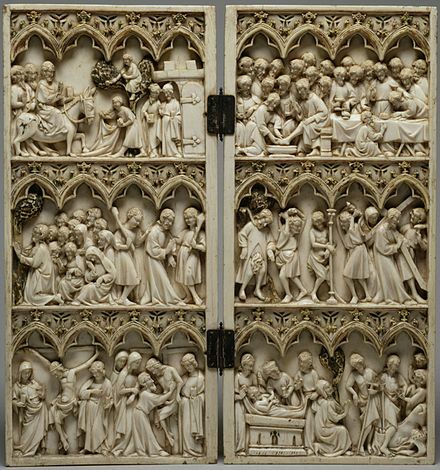 It is a technique which requires less work, and is therefore cheaper to produce, as less of the background needs to be removed in a carving, or less modelling is required. 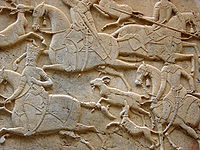 In the art of Ancient Egypt, Assyrian palace reliefs, and other ancient Near Eastern and Asian cultures, and also Meso-America, a consistent very low relief was commonly used for the whole composition. These images would usually be painted after carving, which helped define the forms; today the paint has worn off in the great majority of surviving examples, but minute, invisible remains of paint can usually be discovered through chemical means. In later Western art, until a 20th-century revival, low relief was used mostly for smaller works or combined with higher relief to convey a sense of distance, or to give depth to the composition, especially for scenes with many figures and a landscape or architectural background, in the same way that lighter colours are used for the same purpose in painting. 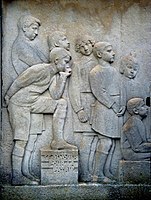 Thus figures in the foreground are sculpted in high-relief, those in the background in low-relief. 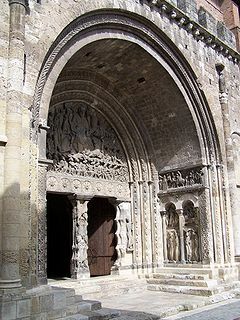 Low relief may use any medium or technique of sculpture, stone carving and metal casting being most common. Large architectural compositions all in low relief saw a revival in the 20th century, being popular on buildings in Art Deco and related styles, which borrowed from the ancient low reliefs now available in museums. Some sculptors, including Eric Gill, have adopted the "squashed" depth of low relief in works that are actually free-standing. Hellenistic and Roman sarcophagus reliefs were cut with a drill rather than chisels, enabling and encouraging compositions extremely crowded with figures, like the Ludovisi Battle sarcophagus (250–260 CE). These are also seen in the enormous strips of reliefs that wound around Roman triumphal columns. The sarcophagi in particular exerted a huge influence on later Western sculpture. 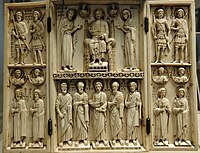 The European Middle Ages tended to use high relief for all purposes in stone, though like Ancient Roman sculpture, their reliefs were typically not as high as in Ancient Greece. 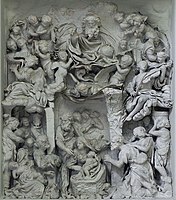 Very high relief re-emerged in the Renaissance, and was especially used in wall-mounted funerary art and later on Neoclassical pediments and public monuments. In Khmer architecture, the period of Angkor is the period in the history of the Khmer Empire from approximately the later half of the 8th century CE to the first half of the 15th century CE. Sculpture is the branch of the visual arts that operates in three dimensions. It is one of the plastic arts. Durable sculptural processes originally used carving and modelling, in stone, metal, ceramics, wood and other materials but, since Modernism, there has been an almost complete freedom of materials and process. A wide variety of materials may be worked by removal such as carving, assembled by welding or modelling, or molded or cast. Ancient art refers to the many types of art produced by the advanced cultures of ancient societies with some form of writing, such as those of ancient China, India, Mesopotamia, Persia, Palestine, Egypt, Greece, and Rome. The art of pre-literate societies is normally referred to as Prehistoric art and is not covered here. Although some Pre-Columbian cultures developed writing during the centuries before the arrival of Europeans, on grounds of dating these are covered at Pre-Columbian art, and articles such as Maya art and Aztec art. Olmec art is mentioned below. In architecture the capital or chapiter forms the topmost member of a column. It mediates between the column and the load thrusting down upon it, broadening the area of the column's supporting surface. The capital, projecting on each side as it rises to support the abacus, joins the usually square abacus and the usually circular shaft of the column. The capital may be convex, as in the Doric order; concave, as in the inverted bell of the Corinthian order; or scrolling out, as in the Ionic order. These form the three principal types on which all capitals in the classical tradition are based. The Composite order, established in the 16th century on a hint from the Arch of Titus, adds Ionic volutes to Corinthian acanthus leaves. 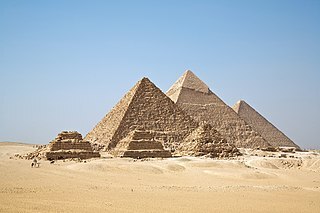 Ancient Egyptian art is the painting, sculpture, architecture and other arts produced by the civilization of ancient Egypt in the lower Nile Valley from about 3000 BC to 30 AD. Ancient Egyptian art reached a high level in painting and sculpture, and was both highly stylized and symbolic. It was famously conservative, and Egyptian styles changed remarkably little over more than three thousand years. Much of the surviving art comes from tombs and monuments and now there is an emphasis on life after death and the preservation of knowledge of the past. The wall art was never meant to be seen by people other than the afterlife for when they needed them. 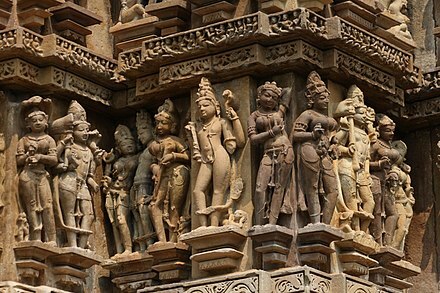 Architectural sculpture is the use of sculptural techniques by an architect and/or sculptor in the design of a building, bridge, mausoleum or other such project. The sculpture is usually integrated with the structure, but freestanding works that are part of the original design are also considered to be architectural sculpture. A stone sculpture is an object made of stone which has been carved or assembled to form a visually interesting three-dimensional shape. Frosting is a decorative effect named after its resemblance to the appearance of frost. It involves making very small marks in a surface so that it appears matt rather than polished, and in glass opaque rather than optically transparent. It is often used for glass for bathrooms and toilets, but may be used on many materials and created by many processes. Vahanas or "vehicles" of Hindu Gods are mythical characters having significant religious value. Temples in India use depictions of these vehicles in many forms during temple processions. National Museum, New Delhi houses a collection of Carved Wood Vahanas in the gallery of decorative arts. This collection at the National Museum is unique among museums in India, which includes large images of Garuda, Hanuman, elephant, horse, swan and lion and these artefacts are mostly from the period between the 17th and 20th century. Ancient Indian temples house numerous kinds of wood carvings having religious context to be used for various temple activities. The majority of Vahanas are made of wood and decorated with designs made with varied techniques. Vahanas have been mentioned in temple inscriptions dating back to the 13th century. ↑ "Relief". Merriam-Webster. Archived from the original on 2012-05-31. Retrieved 2012-05-31. ↑ In modern English, just "high relief"; alto-rilievo was used in the 18th century and a little beyond, while haut-relief has surprisingly found a niche, restricted to archaeological writing, in recent decades after it was used in under-translated French texts about prehistoric cave art, and copied even by English writers. Its use is to be deprecated. ↑ Murray, Peter & Linda, Penguin Dictionary of Art & Artists, London, 1989. p. 348, Relief; bas-relief remained common in English until the mid 20th century. ↑ For example Avery in Grove Art Online, whose long article on "Relief sculpture" barely mentions or defines them, except for sunk relief. ↑ Barasch, Moshe, Visual Syncretism: A Case Study, pp. 39–43 in Budick, Stanford & Iser, Wolfgang, eds., The Translatability of cultures: figurations of the space between, Stanford University Press, 1996, ISBN 0-8047-2561-6 ( ISBN 978-0-8047-2561-3). Wikisource has the text of the 1911 Encyclopædia Britannica article Alto-Relievo . Wikisource has the text of the 1911 Encyclopædia Britannica article Basso-Relievo .